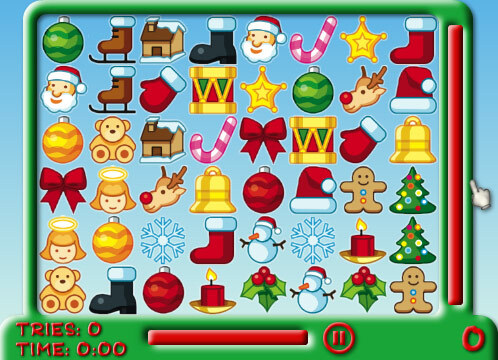 Need a little Christmas cheer? 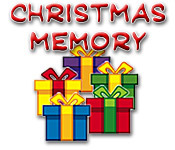 Find matching gifts in Christmas Memory, an online concentration game with a fun holiday theme.A memory game with holiday spirit!It`s Christmas all over again in Christmas Memory, an online memory game based on the classic game of concentration. Watch the layout carefully. Click on a present to open it, and then click on another present to make a match. 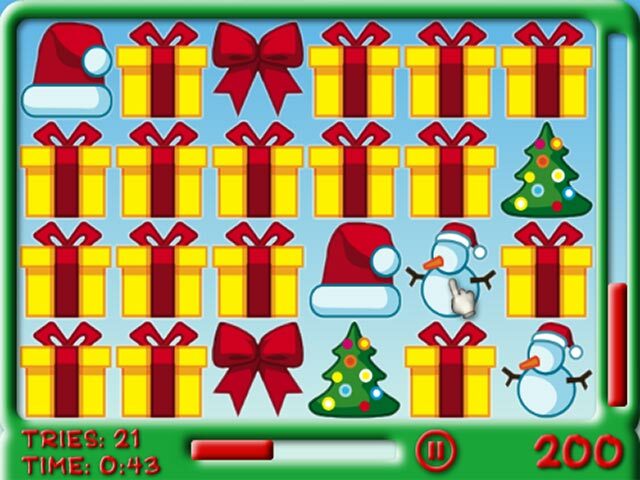 Open carefully – the presents will start moving around when you make mistakes. 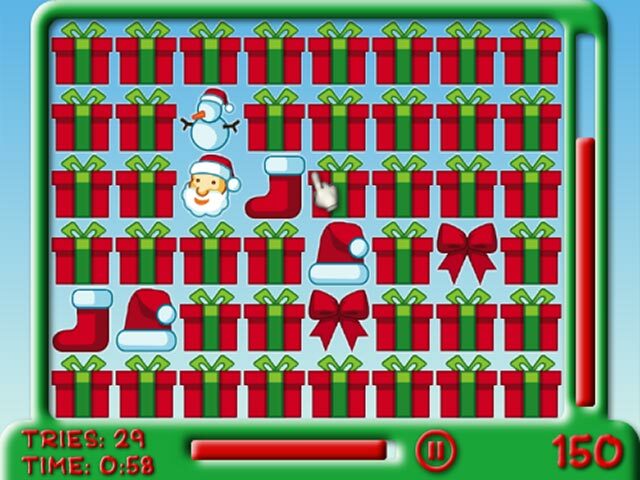 Match all the presents under the tree before time runs out. If you`re very, very good, Santa will bring you up to 24 extra presents for your work!